All ticket buyers to this performance will receive a discount to The King's Singer's concert at Carnegie Hall in April 2018, sponsored by our partner Distinguished Concerts International New York (DCINY). Fifty years ago in 1968, the original six King's Singers came together through their shared love of singing and quickly became renowned for their mesmerizing performances and the unique diversity of their music. GOLD charts a journey through the music that has defined the Kings's Singers over the past 50 years, and moves on to exciting and unexplored musical worlds. An alchemy of ancient and modern, serious and light-hearted, expected and unexpected, GOLD crowns half a century of dedication to music, and looks ahead with unbridled energy to the next 50 years and beyond. The GOLD program for January 21 has been specially created to reflect the extraordinary spiritual space at St. Ignatius Loyola. Sacred spaces like this one are in the bones of the King's Singers, born (as the group was) in King's College, Cambridge. The music that belongs in these spaces is part of the group's lifeblood, and this program celebrates that music in all its glory. Inspired by the physical symmetry of the beautiful Church of St. Ignatius Loyola, the first half of the program uses musical symmetry to make a journey through time, space and style, exploring the wealth of music written for human voices in harmony. This program takes prayer as its starting point. The texts either belong to, or reflect on ancient Christian roots and what they mean today: from the Prayer of King Henry VI who founded King's College, through to a speech given in 2016 by Zadie Smith, this program's music looks at spiritual life through many different lenses. One such lens is that of the New York-based composer Nico Muhly, whose brand-new piece To stand in this house forms the backbone of the first half. His work marries prayers from the turmoil of medieval England with modern-day reflections on the state of our world and our place within it by pre-eminent King's College alumni. In this special anniversary year, it is fitting to bring this work to Muhly's home city for the very first time, to show how ancient prayers and contemporary thoughts from the birthplace of the King's Singers are just as resonant in the composer's home as they are in the ensemble's home. And one couldn't celebrate fifty years of The King's Singers without finding room for the close-harmony music that's helped to define their rich and varied history, and so the second half celebrates some of the great musicians and songwriters that have so enriched the group's musical life over the last fifty, golden years. Acclaimed worldwide for their virtuosity, life-affirming energy and charm, The King’s Singers are in global demand. The group tours across Europe, North and South America, Asia and Australasia performing to hundreds of thousands of people each season. 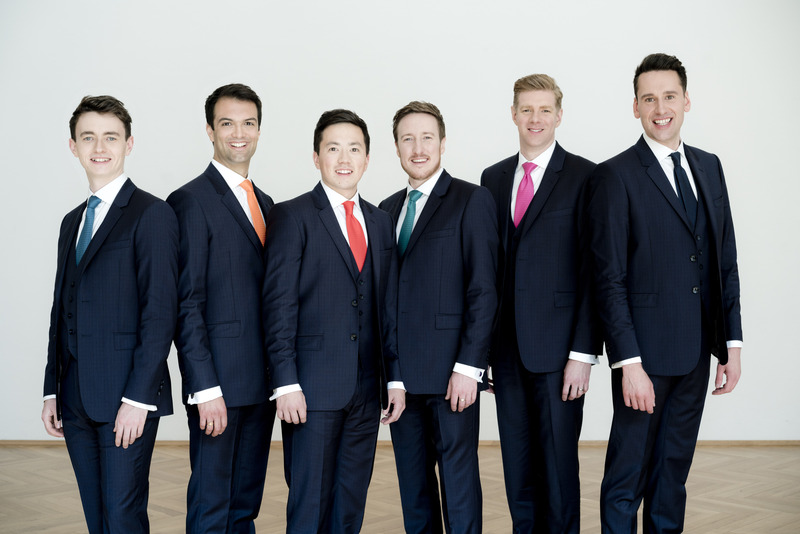 Instantly recognisable for their immaculate intonation, vocal blend, diction and incisive timing, The King’s Singers are consummate entertainers. Their repertoire has evolved to become one of the most diverse imaginable with over 200 commissions from leading composers including Luciano Berio, György Ligeti, Sir James MacMillan, Krzysztof Penderecki, Toru Takemitsu, Sir John Tavener, Gabriela Lena Frank and Eric Whitacre alongside a significant collection of close harmony arrangements from jazz standards to pop chart hits. Recently voted into the Gramophone Hall of Fame and with two Grammy® Awards to their name, rave reviews and sell-out concerts confirm that The King’s Singers remain one of the world’s finest vocal ensembles. DOORS OPEN at 3:15 PM for a 4 PM concert start time. WILL CALL is available when the doors open at 3:15 PM inside the main doors of the church.